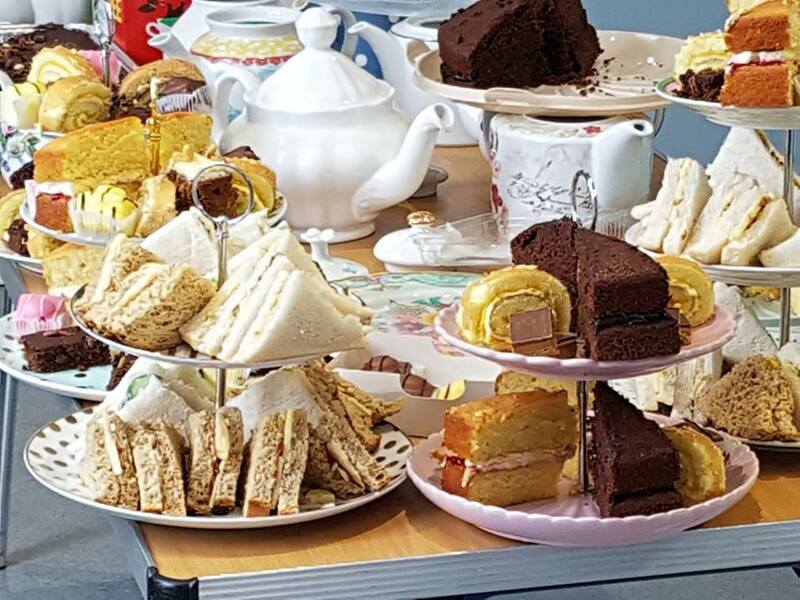 Apologies for the long post but yesterday afternoon we hosted a lovely traditional tea party. And it was wonderful! We built it and 60 people came! 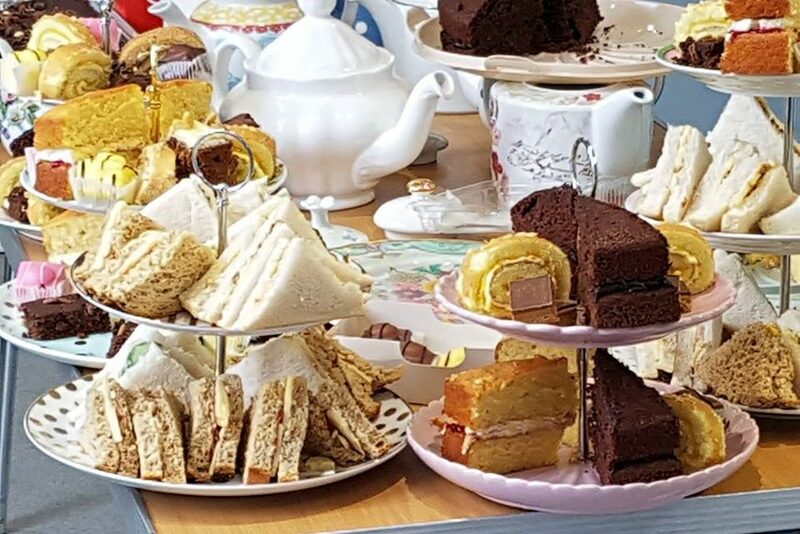 There were scones and lashings of jam and clotted cream, fruit punch, cake of every variety and enough tea to sink a boat. Our guests came to play and Hannah and Steve had everyone up and dancing to a wonderful medley of favourites. It was quite moving to see our guests clapping, singing and dancing along. They felt nurtured and cherished. This event only happened because of our helpers, who live in this Community and were uncommonly generous with their time and talents today. Barbara Gray of Age Reminiscence. Ann, Jo and Justina for turning their hands to everything. Sara for more bunting and coming to the rescue more than once. Julia at The Corbett Library for providing meeting space. Josie, James, Barbara and Anne from the HGCA. 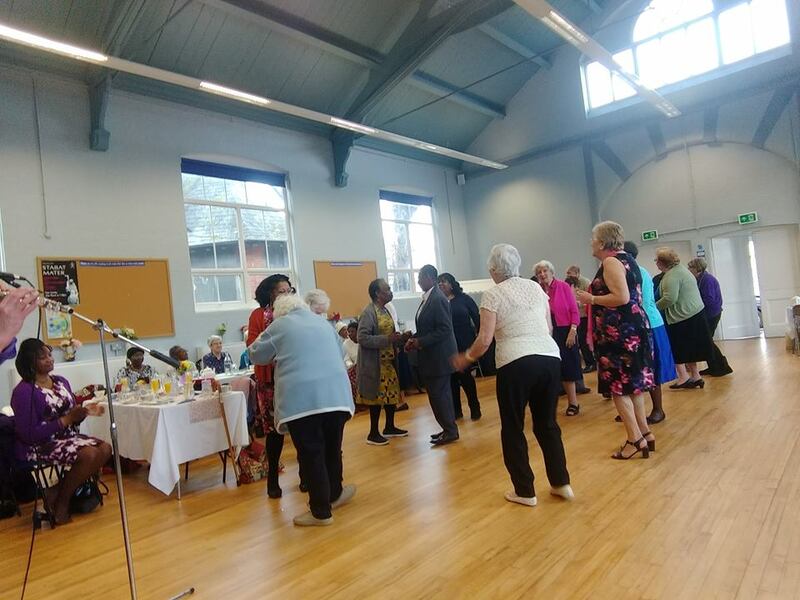 The HGCA worked with the Positive Ageing Council to fund this event and it felt like the most special piece of work we’ve done. These are our parents, grandparents and great parents, and it was an honour to entertain them today. There is an epidemic of loneliness in the over 70s in this area, this was a smashing opportunity to show people we care. And they LOVED it- the afternoon was joyous. If we ever finish the washing up, we may do it again in the future!! Next post Defibrillator for The Corbett Library- Help Raise £1200!